Hello beautiful people, I wanted to share with you something that's been on my mind for quite some time now, which is determining what is and isn't considered "plus-size." This topic has been circling around and arguments have been raised by so many people, wanting to demean those on the smaller side of the plus-size group. According to the Oxford English Dictionary, plus-size means to be "(Of clothing or people) of a size larger than the normal range." The average American woman today is a size 14, but clothing marketed towards plus-size women generally start from a size 8/10 and up, but most women don't consider anyone under a size 18 as plus-size, and get offended when women that fall below that range refer to themselves as a plus-size woman. Don't get me wrong, I have nothing against those who are plus-size, and I'm not fighting or begging to be seen as one either, it just hurts me when I see discrimination within a community where everyone shares the same label. After all, I'm a size 12 and when I go to stores like Forever21, often times I'm able to shop in the "regular" section, but when it comes to certain things, I have to go + and I have no problem with that. 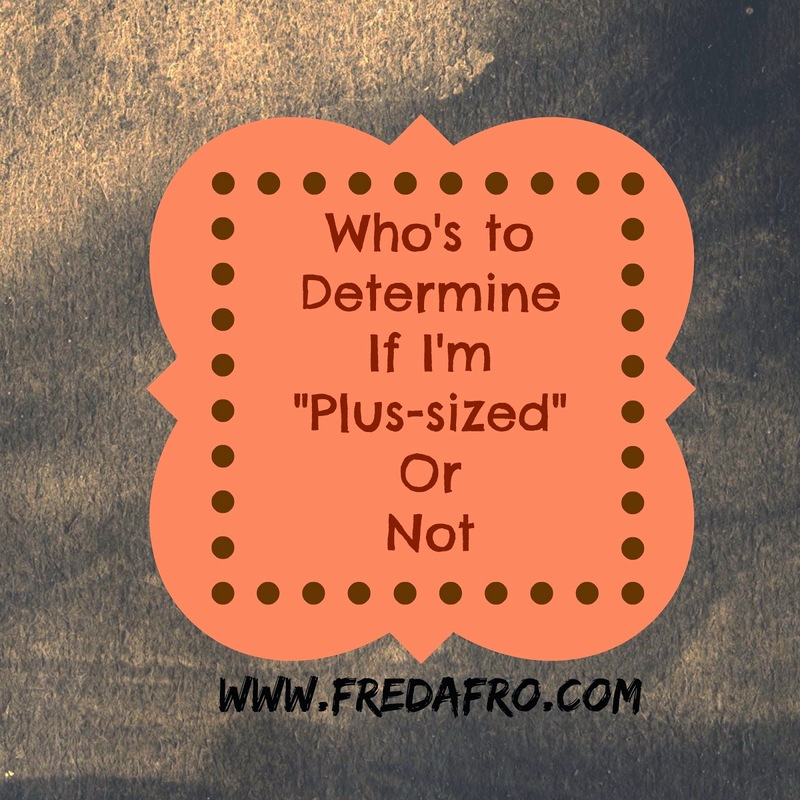 My major problem with the "plus-size community" is similar to the one I have with the "natural hair community" and that is the lack of support! I mean who are you to tell me what I am?! As women, most of us already face enough discrimination, especially those of us that fall in between for example, not being dark or light enough, not being Nigerian enough, not being tall or short enough, in this case not being fat or skinny enough, and my list goes on!. I just want to see a world where we support and accept each other for who/what we are, instead of bashing or discriminating those that don't look us, or do the things that we do.